The southeastern United States is often subject to thunderstorms, severe tropical storms and hurricanes. Damage from these storms range from trees falling, to houses being ripped apart. If you live in an area where these storms are common, you have seen what they can do or (hopefully not) experienced them and the damage yourself. Whatever your level of experience is with severe storms, if you live in the southeast, you should know how to take care of your roof and how to spot any damage that may occur. 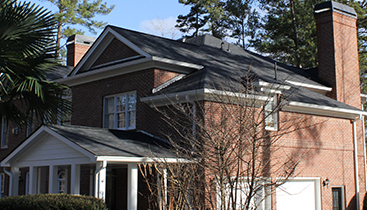 If there are noticeable signs of roof damage, contact Falcon Exteriors, a trusted residential roofing company. Our roofers are accredited by the Better Business Bureau and experienced with any roof repair needs. What Kinds of Shingles Are There? This type of shingle is the most common and has a variety of styles, shapes, colors, and sizes. 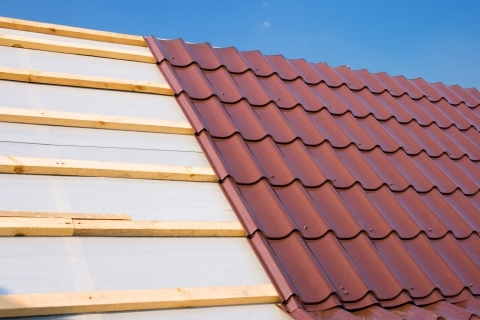 It is often relatively cheap compared to tile, metal, wood shake or other roofing materials. These shingles are often designed to look like other materials. They typically last 20-50 years. Asphalt shingles are also the easiest to install. Installing shingles is dangerous and a roofing contractor should always do the installation to ensure that it is done safely and correctly. Made from fine fibers of glass, these shingles provide reliable strength and durability. The fiberglass creates the mat portion of the shingle. The mat then goes through a process of coating, covered with asphalt made with various types of mineral fillers. The mineral fillers gives the shingle and mat a waterproof characteristic, which is very important in the quality of a shingle. This type is also more fire resistant. A fiberglass shingle will usually have a fire rating which is much higher than wood and paper mat shingles. One of the longest lasting roof shingles available, they can last up to 100 years. Made from natural rock, they have a very unique appearance and are great at water resistance. These shingles are strong and hold up to wind and hail storms better than standard asphalt shingles. The downside of this materials is that they are considerably more expensive and more difficult to repair. They are also quite heavy and so should not be used on a structure that cannot hold the weight. Now you know what kinds of roofing materials are on the market, learn what to look for after a potentially damaging storm passes by. A sign of wind damage is missing shingles. Carefully examine the roof for chunks of missing shingle. 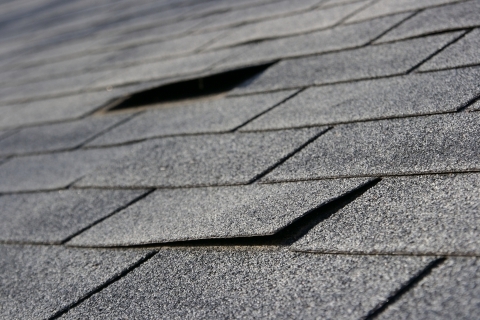 Look for shingles that buckled or curled or have cracked in them. Look for any shingles that may have large amounts of granules missing from the shingle. Nails may have popped up which allows the shingle to loosen. If there are any sections of the roof that intersects with a wall, look for damage that could allow water to seep in. Look around any chimneys, vents or skylights to see if any separation has occurred. Look inside the attic as well. Look at the interior ceilings for discoloration or bubbles that indicate water damage. 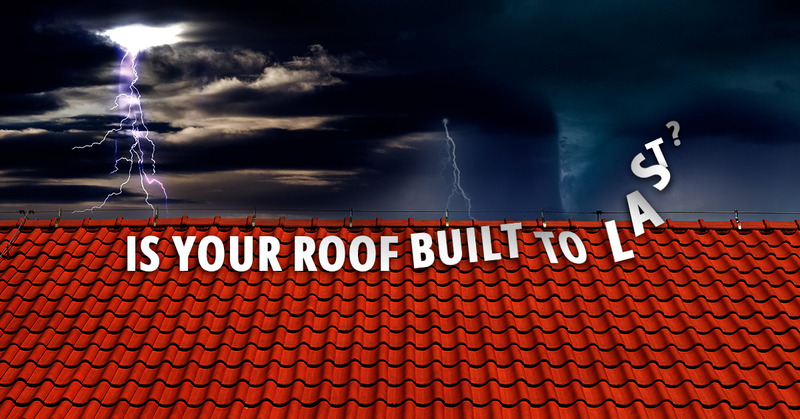 Roofing repairs after a storm is essential to prevent other damage from occurring down the road. Contact our roofing contractors at Falcon Exteriors and get a head start on preventing further damage. We can help with everything from new construction, roof replacement, roof maintenance, leak detection and leak repair. We can also help with assessing the damage from storms any insurance claims. Even if you just need a simple estimate or need to repair a few shingles rather than an entire roof, we are here for you to help with any roof repair needs.